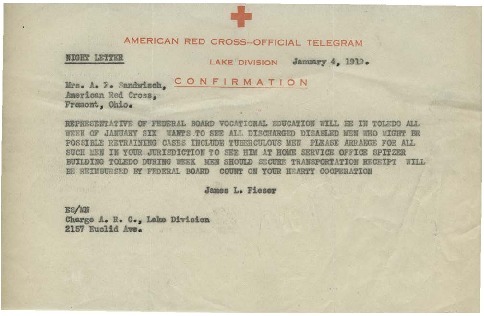 This digital collection features select items from the American National Red Cross, Sandusky County Chapter records (MS-0048), which consist of correspondence, reports, radio talk show transcripts, news clippings, and printed publications and posters relating to the Sandusky County Chapter of the American Red Cross during the period 1917-1939. 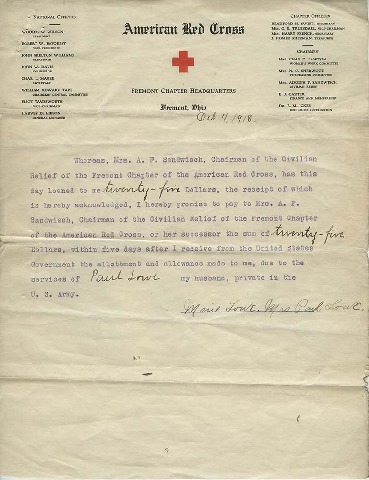 This digital collection contains only a selection of items from the American National Red Cross, Sandusky County Chapter records. The full collection is available for research at the Center for Archival Collections. View the full collection finding aid. 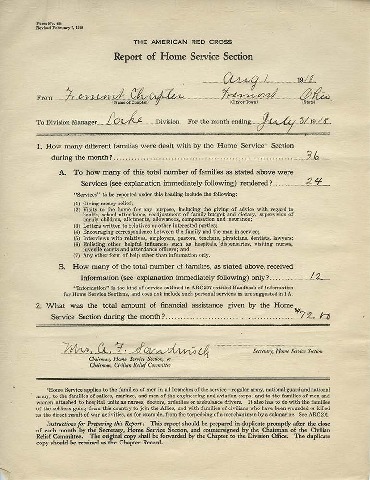 Report of the Home Service Section of the Fremont Chapter of the American Red Cross, completed by Mrs. A.F. 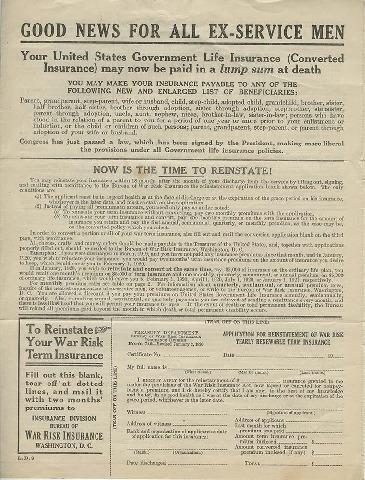 Sandwisch, chairman of the chapter's Civilian Relief Committee, detailing the services rendered to the families of World War I servicemen during July 1918. 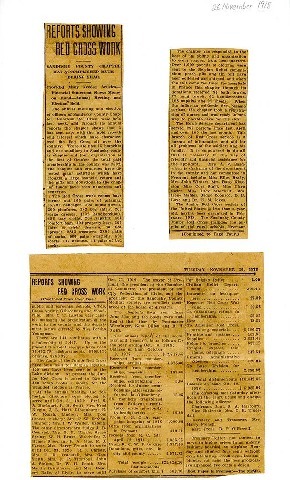 Newspaper article reporting on the annual meeting of the Sandusky County Chapter of the American Red Cross, and detailing the chapter's work over the past year to assist the U.S.'s efforts in World War I and care for American servicemen and their families. 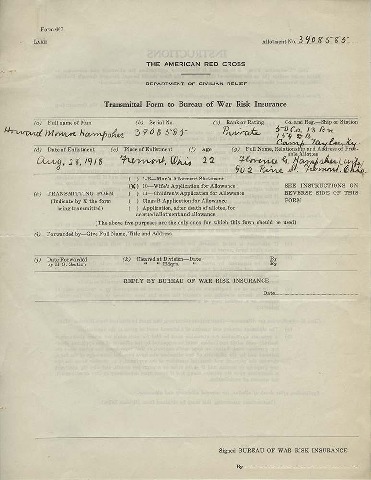 Transmittal form from the Fremont Chapter, American Red Cross, to the United States Bureau of War Risk Insurance, regarding a war risk insurance allotment for Florence Hampsher, wife of World War I veteran Howard M. Hampsher, of Fremont, Ohio.